We take great pride in providing seminars by the world's finest independent instructors. Some of the most recognized and respected names in the industry visit our ranges providing world-class instruction in the field of firearms application and safety, tactical training, and both armed and unarmed self-defense. We have been hosts for classes with an impressive list of well known trainers: Ron Avery, Louis Awerbuck, Randy Cain, Jim Crews, Hershel Davis, Jack Furr, Jeff Gonzales, Travis Haley, Greg Hamilton, John Holshein, Bill Jeans, Max Joseph, Kyle Lamb, Ernest Langdon, Larry Mudgett, Scott Reitz, Pat Rogers, Benjamin Salas, Steve Tarani, and Ken Vogel. We hope to add a few other preeminent individuals in the near future, and of course we'll bring the best-of-the-best back for more! Southern Exposure Training Facility was founded by Joe Seybold. 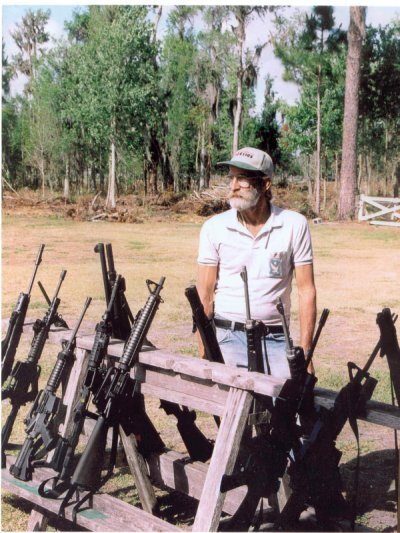 He poured his body and soul into raising these ranges out of the Florida swamp. Diagnosed with cancer in December 2002, this Vietnam Vet fought his toughest battle over the next 2.5 years and finally succumbed to overwhelming odds in May, 2005. Joe's wishes included that his "Field of Dreams" continue on as it had in the past. The ranges are not open to the public. The sole purpose of the facility is to provide a venue for organized training courses.